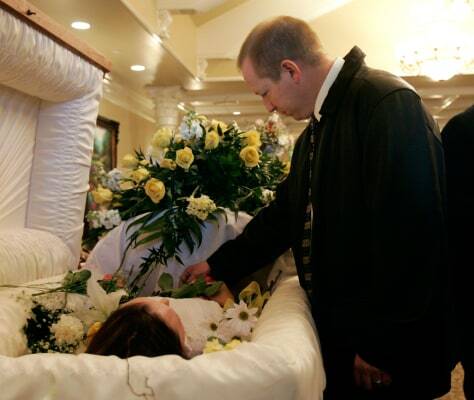 Rich Quinn says goodbye to his wife, Vanessa, during her funeral on Friday in Sandy, Utah. Vanessa was among five killed when a gunman opened fire at the Trolley Square mall Monday night. She was there to pick out a wedding ring that she and Rich had been saving for.